Thanks to everyone who participated! This was an great event, with lots of participation across all 3 gyms. Good work everyone. 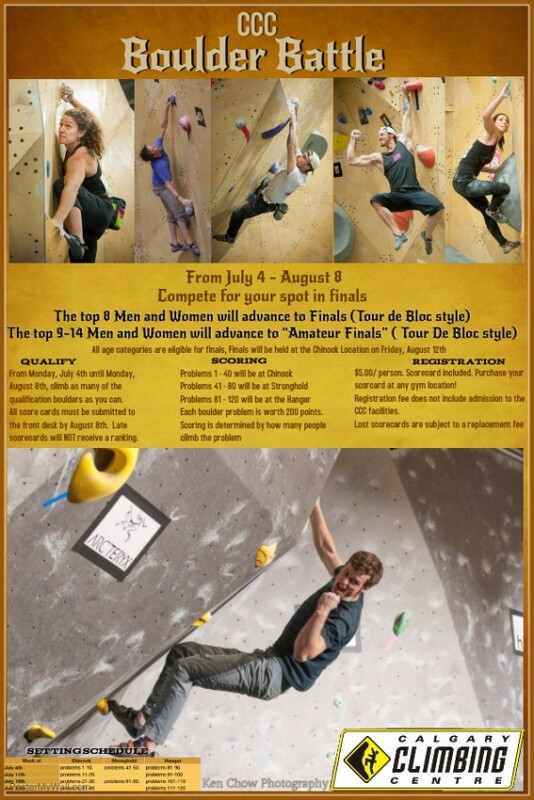 You can see the results for all competitors here: boulder battle results and be sure to join us for Finals at our Chinook Location on Friday, August 12th. Doors open at 6:30pm – Climbing starts at 7:00pm.